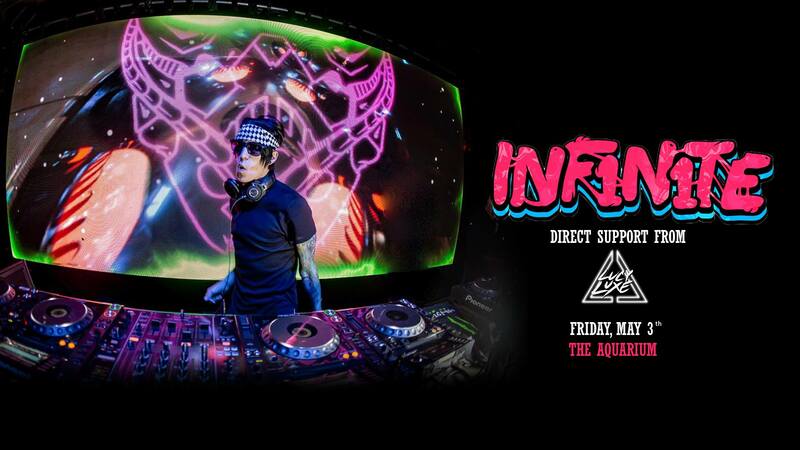 Hailing from just outside of Calgary, Alberta, Canada, INF1N1TE, is making tremendous waves on the electronic music scene with his phenomenally innovative, sharp and devastating sounds. In just a few years of working under this project, INF1N1TE has pulled support by the ranks in both fans and fellow artists attracted to his original and honest approach to keeping things real and fresh in both music production and presentation. His undeniably exceptional skill and signature style of ballistic bass work and crushing composition hike up the already sky-high anticipation for his plethora of titanic tracks to come in the next year. With releases and remixes on heavyweight labels, Firepower Records, Play Me Records, Ultragore Recordings, and Sumerian Records, INF1N1TE stands tirelessly committed at the dawn of a massive new era for himself as an artist, perfecting his already vast knowledge and profound ability in his work. Originating from Minneapolis, Lucy Luxe has been one of the highlights in women to take the bass industry by storm. Lucy Luxe is no stranger to bass music as she is best known for her work in the Play Me Records female duo “Dirty Talk” who had top charting releases on Beatport. Dirty Talk has been supported by many artists such as Reid Speed, Benga, Bro Safari, Dillon Francis, and Zedd to name a few. With releases done under Play Me Records and having worked with artists such as Messinian, Boy Kid Cloud, and Dirtyloud, Luxe had designated a definite spot in the bass community.